Google on Thursday remembered legendary Malayalam and English writer Kamala Das with a doodle. Popularly known by her pseudonyms Madhavikutty and Ami, Kamala Das is prominent in Indian literature for her poetry and short stories. Created by artist Manjit Thapp, the doodle celebrates “the work she left behind, which provides a window into the world of an engrossing woman,” Google said in a blog post. 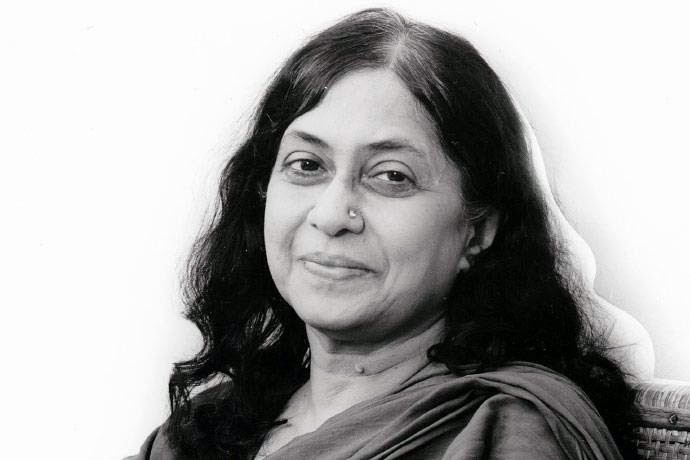 Kamala Das was born in a Hindu family in Thrissur district of Kerala on March 31, 1934, as Nalapat Kamala. Her father V.M. Nair had been the Managing Editor of Malayalam daily Mathrubhumi, while her mother Balamani Amma was a renowned poet. Her maternal great uncle was the famous Malayalam writer Nalapat Narayana Menon. Kamala was brought up in Calcutta, where she began writing primarily in English. She was married to banker Madhava Das at the age of 15 and thus became Kamala Das. She wrote in Malayalam under the pen name Madhavikutty. Kamala is known for her multilingual writing. Her Malayalam works would feature English phrases, while her English stories will have a flavour of Malayalam and Hindi. Noted poet K. Satchidananan calls her writing as ‘interlingual.’ “I speak three languages, write in two, dream in one,” Kamala would say. She passed away on May 31, 2009. “Perhaps the greatest “work” of hers is the alter self whom she created, this mysterious and puzzling, ambiguous and sphinx-like “persona” that is Kamala Das, who emerges from her writings taking Protean forms – to fascinate and charm, to tease and torment, to hold and enthral, and to reveal her world anew with each new reading,” Devika Nair wrote in The Hindu Friday Review. Kamala’s poetry and writings revolved around a myriad women’s issues, from sexuality to childbirth. Critics labelled her a feminist writer and the “the mother of modern English Indian poetry,” but she never accepted the former. Inspired by her real-life, Kamala wrote ‘My Story’ in English, and later ‘Ente Katha’ in Malayalam. Once believed to be her memoir, in ‘My Story’ Kamala got candid about her emotionally fragmented family, an unfulfilling marriage, sexual yearnings, suicidal thoughts and many more. ‘My Story’ was released this day in 1976, according to Google. She later dubbed both books as “work of fiction”. Kamala is also known for her contradictions. She embraced Islam at the age of 65 and changed her name to Kamala Surayya. Her religious conversion and interviews favouring the purdah came as a surprise to many. She is a recipient of the Sahitya Akademi award and many literary awards such as the Asian World Prize, Kent Award, and Ezhuthachan Puraskaram. Her biopic is being filmed in Malayalam as Aami a name was given to her by her fans, with actor Manju Warrier essaying the role of Kamala Das. PREVIOUS POST Previous post: Chris Gayle Is Proud To Be Part Of Kings XI Punjab, Watch Video! !